Josh Steimle’s agency, MWI, was slowly killing him– he had no life, was in massive debt, and wasn’t making any money. He went four years without collecting a paycheck, all while putting in 80-100 hour weeks. 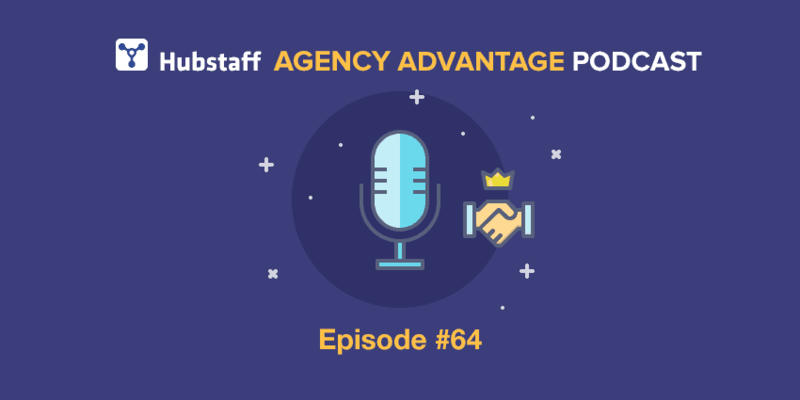 Today, he shares how he was able to turn things around and build a profitable, growing agency by finding two different types of partners: first, somebody to help run the business; second, somebody with a platform he can leverage to grow his authority. It wasn’t an easy process, but Josh lays out everything you need to know to find the right people and platforms to help you grow your business. 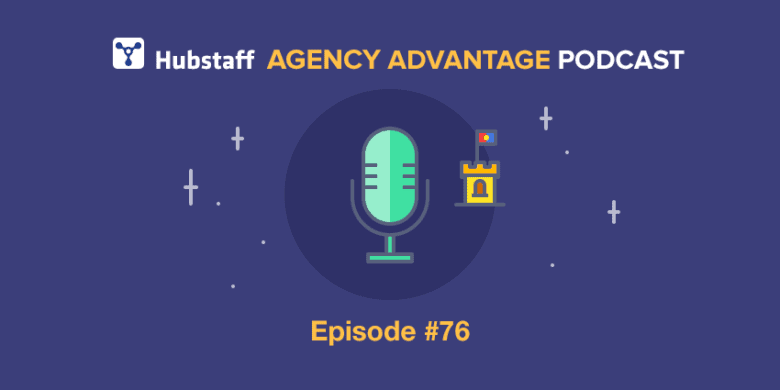 Whether you’re considering shutting down your agency or you’re making money hand over fist, there is a lot to learn from today’s chat. Josh points out two things to look at if you’re wondering if you need a partner for your business. First, look at your business yourself. Is it doing well? Are you successful? Then maybe you don’t need to worry about finding a partner since you might mess up your formula. However, if your business is failing, if you’re struggling, or if you’re frustrated, bringing on a partner might help. Especially if you find yourself, like Josh, completely underwater. Bringing in a partner can’t hurt, and it might make all the difference in the world. Second, you need to take a look at yourself. In Josh’s case, he knew he needed a partner for the business’s sake, since it wasn’t working with him by himself, but also he needed a partner for his own sake. He needed someone to keep him accountable. He ended up bringing on his brother-in-law, Cory, after a successful consulting arrangement, and he says it was one of the decisions that helped make his business the million-dollar company it is today. His relationship with Cory inspires him to stay at his top level of performance since he has someone to compete with. More importantly, he has a chance to be a role model for Cory. Having that extra layer of accountability makes sure that Josh doesn’t get burnt out and is always performing at his best. Josh says the secret to finding a partner is to network, and network early. You might not need a partner right away when you’re just getting your business off the ground, but eventually, the business might become too big for you or you might be struggling, and the answer might be a business partner. At that point, you don’t want to be scrambling to talk to random people you don’t already have some kind of professional relationship with. A lot of people might not see the value in networking, even though it’s fun and relaxing. But Josh points out that the bigger your circle of contacts, the easier it is to find talent to collaborate with. In Josh’s case, he exhausted his personal network faster than he would have liked, and so one of his biggest regrets is not forming more professional relationships early on. Writing for Forbes was the second thing that helped Josh out of his downward spiral. Josh has always created quality content, but when it was hosted on his blog or company website, no one cared, since they assumed he was only positioning himself as an expert to convince them to hire his company. Readers were also skeptical of his expertise, but writing for Forbes erased those issues. Forbes’ credibility in the industry made readers instantly trust Josh’s expertise since Forbes doesn’t publish just anyone. Not only did Forbes’ platform grant Josh exposure, but when leads that came to him through that platform were easier to close since they already recognized Josh as an expert in his field. Because of that opportunity, Josh made over two million in sales. Josh, thanks so much for coming on this show. Thank you so much Andy for having me here. Yeah, I’m really excited about this. My friend Matt was talking about you. So, like I said before the call he’s been talking you up. There’s a lot of pressure on this. So, I’m expecting some big things. Well, I’ve had a good night’s rest so I’m good to go. All right. Perfect. So, you launched MWI back in 1999. You had a period in there where it was a real struggle, including almost having to shut the doors, but now you’re growing fast and have built a multimillion dollar agency. Can you share the backstory of how this all came about? Yeah, so like you said, I started in 1999. I was a college student at the time and I ran it as a college student for about two years until I graduated and then just kept on doing it. That was, this has been the only job I’ve ever, like the only real job I’ve ever had and there were two iterations of MWI. The first was actually called Mind Wire Interactive and that’s where the MWI name came from. That’s what I started while I was in college. I sold that in 2003 because I had a partner, we didn’t really get along and buyer came along and it seemed like a good opportunity to part ways amicably and so we sold the company in January of 2003 and then I started over again under the name MWI and I thought that my partner was holding me back and I thought that if i was just free of my partner I could do whatever I wanted and everything would just be amazing, and so when we sold the company and that turned out to be a bad deal by the way. I mean, everybody thinks, oh you sold the company, you made some money. Well no, actually I lost 40 thousand dollars on that deal so it was a terrible deal and it really hurt a lot and for years but I sold that company and I was on my own and I just thought, you know it doesn’t matter. Even though this was a bad deal I’m on my own and now I can do whatever I want and everything’s going to be awesome, and then from 2003 to 2007 I made so many mistakes I could not pay myself a dime during those years. So, I went four years with zero pay from the company, just working completely for free and I was working 80, hundred hour weeks. I was sleeping on the office floor. I was just killing myself. I didn’t see my wife. I didn’t go to any social functions. I missed all sorts of family events and just, it was just a huge big mess and after four years of that I decided okay, I’m going to die here if I keep doing this. I’m losing money, I’m getting into massive debt, and something’s got to change and so then I started looking at things I could do to change the business and fix the business. So, around 2007 things started turning around a bit and I started making slightly better decisions but i still had all these business debt and then I, in 2007 I kind of retreated from the world a bit. I said, this isn’t working. I let all my staff go, put everybody on contract, went back to working out of my house which is how I had started in 1999 and I said, I’m going to retreat until I figure this out and then in 2012, almost ten years after I had sold the company and ditched my partner and went on my own and thought I was going to rule the world that way I realized I really need to have a partner again, and so in 2013 I found a partner, brought on a partner, and we started working together and then everything started going fantastic from that point. Not everything but things improved dramatically at that point and that’s the short story on how we got to where we are today. There’s a lot of detail in there I skipped over but that’s kind of the brief overview. Yeah, and before we do get into what actually changed you and what made things turn around I have a couple questions about the lead up to that. So, what honestly, at that point when you’re sleeping in the office, when you move back the office, basically get rid of the employees, move into your basement as your office, what keeps you going? You know, it was, it seemed like success was always around the corner. This was, it was like there was somebody dangling this carrot in front of me and I was like, oh I almost got it. I almost got it. I almost got it, and so people ask me, they’re like, how did you do this for ten years? Why did you do this for ten years? I mean, you’re not getting paid for four years. Why did you even go six months without getting paid and the reason was I, every single month I would look at the last month and I’d say, wow that was really tough but this happened and this happened and these great things changed and this month there’s huge deals on the table and if I just hold out for two more weeks I’ll get this big deal and every single month was that way. Every single month I could look back and I could say, wow that was tough but I learned a lot, I’ve made progress. I’ve made these changes and I’ve got this big opportunity right in front me and it went that way for ten years where I just, every month it was like oh I’ve got to keep on going because if i quit now and this thing’s on the table and it was just, and yet year after year I would also look back and say, wait a second. Like, every month is this way but then it never, I mean it sort of materializes but then it doesn’t and it would go up and down too. I mean I’d go from a hundred thousand year income, or I mean revenue with the business to 500 hundred thousand in revenue and I’d think, okay I’m growing. Everything’s working out and then something bad would happen and I’d go back down a hundred thousand and I’d be like oh man, like oh that’s terrible and now I got to work again and then I’d start working and then we’d close a bunch of deals and we’d be like, okay we’re back on track and the time just went by and it’s amazing, when you’re going through this kind of thing and you’re working the time just flies by and you’re looking back and you’re saying, man ten years just went by and I’m not really any farther along than I was. Along the way it’s not as though you’re knocking on doors and no ones answering, you’re not getting anything coming in and you just keep going blindly. You’re getting a piece of success. You’re getting some traction, you’re learning a bit, then sometimes things regress but it’s not as though it’s just staying, kind of you hit a plateau and you just stayed there constantly for ten years. It’s, there’s ups and downs along the way. Right. If I had plateaued I would’ve quit or I would’ve done something else. It was there was always this growth but then there’d be a huge setup but then there’d be growth again. So, if you looked at the revenue of the company it was this kind of 45 or 30 degree angle of growth and revenue. So, like really good growth. It’s going up, up, up, up and then all of a sudden there’d be like this cliff and it would drop and then it would go up, up, up, up, and then a cliff and it would drop. Well, it was those up parts that kept me going and the cliffs were really quick. I mean I would get over those really quick because I had learned some big lesson and change things and fix it and so I was always making progress personally. I was always learning a lot and it was very engaging and very interesting work but financially it was not that great and personally it was just, it was really wearing on me and kind of killing me. Up until 2007. Things got better in 2007 but then it was still a hard slog and there’s still been challenges since then but it’s those challenges that really keep going and that’s what makes business interesting. If it were just, even if it were consistent growth that would be kind of boring in a way because it is those challenges where you kind of begin something, you think this is going to kill me. This is going to put me out of business and then you overcome that, that kind of gets your adrenaline going and you become a little bit of a junkie to that and you’re like, wow, like I don’t want to create these challenges but these are really exciting and it’s really fun to overcome those challenges and then look back and say, wow. Look at that. I got through that. I made it. Yeah, there was this time that I fell and I thought I was going to die and this happened. I mean, those are the stories you tell and that’s the same thing with the business. It’s the times that I fell and then recovered that are exciting and kind of keep me going in a way. Yeah, I mean as someone who was a professional poker player for eight years, to make it last, to be, to have longevity in that field you can’t let your emotions get the best of you but at the same time I would be lying if I said that some of those ups and downs weren’t what kind of kept me going, because you have to try to temper those emotions but they’re still there and that adrenaline when it gets going is part of why I did that for as long as I did and I’m, I can’t think, I’m entirely relating with you on that feeling where it just keeps you in. Your identity is invested in it. Yeah. I mean, this is my whole identity. I’ve been doing this for 17 years now. This is my whole career and if I fail now it’s like, well why did you do that for 20 years, almost 20 years Josh and then you fail? Like, why and then you read these stories like, a lot of books have told this one about these guys who had the gold mine and this is a real story, they guys who had a gold mine and they worked on this gold mine for years and years and years, I don’t know ten, 20 years or whatever and then they finally said, we’re not going to find the gold here. They gave up. They sold the mine. Some guy bought it and he dug three feet and he found this huge gold deposit and you’re just like, oh man I don’t want to be that guy who quit right when he was about to succeed and so things like that keep me going to and now, it actually seems to be paying off. So, I spent 13, 14 years building it up, failing, not having things work and now all of a sudden we’re into the multiple millions, we’re going global, things are growing and so now it does seem like it paid off and we’re making this progress towards the large global agency that we always wanted to build, that I always wanted to build and so hopefully this story works out and we have, we’re able to succeed at creating that large thing and I can say, yeah I failed for 14 years and then it worked out but the pride has been a factor in keeping me going too. It’s interesting because I think the numbers were in that turning point year, that turning year, what I have written down it says you went form ten K a month to a hundred twenty K a month in one year. Is that accurate? What, what happened? I mean, you said you brought a partner on but how, what actually changed to make this possible? So, this is the beginning of 2013 and what had happened is, so from 2007 which was one of my turnarounds but that’s when I went back into my basement and I said I’m going to put everybody in contract. That’s when I started getting profitable and even though my revenues were down I was making more money from a profit standpoint. I was paying off debt and I was also trying to get healthy during that time. I had gotten really fat, out of shape. I couldn’t walk up a single flight of stairs without wheezing for five minutes afterwards. I mean, I’d walk up ten stairs and then I couldn’t talk to somebody for five minutes because I couldn’t breathe enough to talk. I mean, I was really out of shape and in 2007 I said my business is a mess, my life is a mess. I’m going to fix this. So, I got into triathlon and I ended up doing a couple of half Iron Man events and marathons and all this stuff that I swore I would never do. Like, I hated running but I did all this stuff and I got into shape and then I just kind of focused on myself and my body and focused on getting the business profitable but not growth. I wasn’t trying to grow it. I was just trying to get things healthy with the business and then it was, I did that for a few years and then in 2000, well 2012 I spent all of that year trying to find a partner for my business and then in the beginning of 2013 I though I’d found the right guy but at this point the business fell off another one of these cliffs. I was working with a partner. So, I was basically selling and closing deals and then I had this partner who would take care of all the fulfillment and so, he was a separate company. When I say a partner I don’t mean like close business partner. I mean just like a fulfillment partner that I would turn over the business to and he’d get it done. He brought on a new account manager and that account manager just didn’t manage our clients well and all of a sudden I was losing all of my clients rapidly and so we crashed and we got down to where we had three clients left and we were bringing in about ten thousand a month and all of that was going to contractors. So, I’m back down to making zero money all of a sudden and it was at this point that I brought in my partner and he was really strong in business development and sales which was a weakness of mine and so I said, hey we need to sell stuff here and I was going to put him on the phones and send him to networking events and have him go out and close deals but then this really lucky break came along, this blessing which was I got the opportunity to write for Forbes Magazine, and I started writing for Forbes Magazine and I started writing about digital marketing and what I know and what I do and that started generating leads for the agency. It’s not that I was writing about my agency. It was I was writing about digital marketing and then people would read the article, they liked the article, and they would do their investigation to figure out who I was and then they would contact me and say hey, I read your article and I loved what you said and we want to hire your agency. So, that combined with bring on the partner were the two parts that brought this rapid growth. So, we’d get calls in from people saying hey, I read your Forbes article and then I figured hey, why don’t I just hire this guy and so I want to talk to you and then I’d hand that over to my new partner that was doing the sales and business development and he was just really good at talking to people, figuring out what their needs were, selling the value of what we could do and we just started closing deals right and left and just started growing rapidly. That’s how we went from almost going out of business and getting down to about ten thousand a month in revenue and over the next 12 months we got up to 120 thousand in revenue which blew past what we had ever done before, because I had never done over 500 thousand in a year and now all of a sudden we’re doing 120 thousand a month and so that’s, that was exactly how it happened. That’s how we achieved that growth and then it’s continued since then. So, to back up a little bit why were you so focused on finding a partner? When you were with that other partner though, weren’t you the one doing sales? I was doing the one, I was the one doing sales before I had the partner but I wasn’t really great at it, so I would get a lead in and I wouldn’t even contact that lead for three or four days and anybody who’s done sales knows that speed is the name of the game because people contact you when they’re ready to buy and I would just wait for like three days and then I’d email them back and be like, oh hey sorry for the delay and like I was just totally lazy about it and I was busy. I was just like, uh and so the only people I was signing up as clients were people who were really relaxed about their own businesses and who were willing to put up with almost anything. Which in a way it was great because once I got them signed up as clients, like they were just super chill to work with and easy but at the same time they weren’t necessarily the hustlers who had fast growing businesses and that’s why they hired me, because I was lazy on that sales call. So, I was like, I need a sales guy who like answers the phone immediately, who responds to email immediately and also it’s just better. Like I wasn’t super good at the whole sales process. I didn’t have any sales training. I didn’t really know what I was doing and this guy that I brought in, Corey Blake like had the training, had the background, had the mentality for it. Not that he was like a slick sales guy or anything but he was just really good at talking to people, figuring out their needs, and then speaking to those needs and also part of what triggered this was I had a great friend that he had worked with me and he had given me a lot of advice over the years that had helped me on a personal level and with the business. His name is Mark Browning and so Mark and I had gone on a trip to Brazil together and we were out in the middle of nowhere in the state of Rondônia driving a car and I remember clearly where we were and he turned to me he’s like, Josh I know you don’t want to hear this. I know you don’t want to have a partner but you need to bring on a partner and at that moment it just rung true to me that yeah, you know, I’ve been doing this for ten years. It’s not working out and I’ve got to do this and that was the very moment that I thought yeah, this is time. I’ve got to change something and as soon as I got home from Brazil I started looking for that partner. Then, where did you ultimately find Cory? So, Cory is my brother in law. He’s my wife’s brother and I swore I would never hire family and because I don’t want to get into that whole mess, if you hire family and then they don’t work out and you have to fire them and then it makes family reunions awkward and there are just so many messes that can come from hiring family. So, I swore, like I’ll never even hire family part time to do something. I’m not hiring them as interns. Nothing. Like, I am not going to touch that and the same goes for friends. I was just like, I don’t want to touch that. If I hire somebody and they become a friend that’s fine but I’m not going to hire somebody who’s already my friend because then they might end up not being my friend. So, I, but what happened was Cory and I were together Christmas of 2012 and I just started telling him about some of the challenges I had with the business and he started giving me sales advice and then I went back and I applied it and it worked. So, then I came back to him and I’m like, hey, like talk to me some more about this and he’d give me some more tips and I’d go apply those tips and they’d work and so then I came back to him and I’m like, can you like do sales consulting for me part time? I’ll pay you like 500 bucks a month or something and I can just ask you but I don’t want to be bugging you unless I’m paying you and he’s like sure, yeah. So, we worked that way and he was just giving me advice and it was working out really well. So, then I went back and I said hey, how about if you do like part time? Like ten hours a week or something and just help me with this little part and he’s like yeah, sure. So, he started helping me out part time with this and it just grew organically from one step to the other. We took it slow and it really took most of 2013 and it wasn’t until September-ish of 2013 that I was like, Cory you’ve got to come on full time. I need you. We’ve been working together, it’s working out. We sat down, and we talked about the family thing and we’re like, you know, if this goes really bad can we still be friends? Can we still show up at reunions and not be mad at each other, and we both agreed that we were reasonable people and that we could deal with this like adults and so we thought, okay, we were both willing to take this risk and so he jumped in at the end of 2013 and then by, I can’t remember exactly when it was but maybe January of 2014 I had gone back to him and said, hey I want you to be a full partner with me in this business, and so that’s how the whole family element stuck in. When, this is obviously going ahead a little bit what changed to make you decide to make him a partner? It just seemed that if I gave up a chunk of the business to him that he would be committed to it and I knew that, I knew that if I brought him in he was going to close deals and he was going to make stuff work but I also knew that he was more than just a sales guy, more than just a [inaudible 00:21:19] guy. I could see that he had entrepreneurial tendencies and I was looking towards the day that someday I would leave MWI and I would want to turn it over to somebody and I was thinking about okay, I’ve to that, you know, here I am we’ve got two people in the company and I’m already thinking about succession plans but I thought, someday if I grow this I need somebody I can turn this over to that I can trust and that I know is going to do a good job and I saw that potential in Cory and he was a young guy and I’m getting older. So, I thought okay, he’s like 20 years behind me age wise but if I bring this guy on and I can train him and he’s the right guy then this is great, because he’s starting out young. He’ll get a bunch of experience in the business. He can be there the whole time it’s getting built up and then he can take over this someday and run this and I can move on to the next thing or retire or do whatever it is I’m going to do and so, I saw this opportunity coming together and it just seemed like a perfect fit and we just went from one step to the other and that plan is working out now where Cory has been taking over more and more of the business and not just doing sales but running every aspect of the business and every time I look at the details of what he’s doing and I think, this is great. He’s doing exactly what I would do and he’s doing a better job at it, so this is perfect. What advice would you give to other agency owners to first identify whether or not they need a partner and then if they think they do, how would you recommend they go about figuring out what skills they need, what characteristics they need and how to find them? The situation I found myself in was that I had run the business for a long time by myself and it wasn’t working out. It was failing. So, if any business owner finds themselves in that, those circumstances that might be a big red flag that, well, maybe I should look at bringing on a partner. Maybe that would be a big change in my business to fix things, to get things working right. Now, the issue is is it’s so easy to bring on a partner that actually puts you out of business or is a bad fit. I got lucky in that I found somebody that was just the absolute perfect fit. If he hadn’t been then this would be a very different story today but he happened to be just the perfect fit, the right guy for the job at the right time. So, in terms of identifying whether you need a partner or not, I mean if you’re running the business by yourself and it’s going great and it’s successful could bringing on a partner make that better? Maybe, but it could also ruin things, so I wouldn’t necessarily say that bringing on a partner is always the right thing to do but if you’re failing then maybe it wouldn’t hurt to try or maybe it’d be a great thing to try. For me, the other factor that I was looking at was that I knew that i worked better when I had somebody that I had to report to, somebody that I would be accountable to, and it’s not that we have a system for accountability per se. It’s more just that I know that anything I do is going to come out and Cory’s going to know about it. If I don’t do any work for two weeks then I know that Cory’s going to notice that and so it keeps me on my toes. It just keeps me working. It keeps me from getting lazy and I want to, I mean I have a persona to maintain with him, you know? Like, he comes in with us, he’s the young guy, I’m the old experienced guy. I gotta maintain that, right? I gotta, I gotta keep looking good. So, I gotta keep hustling and doing the work and that type of stuff keeps me motivated and keeps me going. It’s just the little tickler in the background that says, hey you gotta work hard because you don’t want to look like the lazy business owner who just brings in somebody else and leaches off of them. So, I gotta make sure that I’m contributing value and there’s a little bit of a competitive thing going there, like a friendly competition where it’s like we both have to show each other that we’re adding value to this business and that motivates us and that keeps us going in a good way. All right, what was the second question? I mean, I guess that, I think that addressed a lot of it. The real question was, the first one was is yeah, how do you identify whether or not a partner is a good fit and then the second is how do you recommend going about finding one? Okay. So, all right. So, you can edit this little part out, right? So, in terms of finding a partner, for me I went out to my network. This is when I spent all of 2012, I just went out. I talked to everybody that I thought was a potential partner for the business and I sat down with a lot of people and I talked with them openly about this, hey I’m looking for a partner, I think you might be a fit. Can we talk about this and nobody, either people weren’t interested or they just weren’t quite the right fit, it wasn’t the right time for them or it just wasn’t a situation that seemed like it would work out. Nothing really clicked, and so I talked to a lot of people and then I ran out of people that I knew and at that point I thought, I do not want to go find somebody I don’t know to come in and own half this company. I just, that would be such a huge risk and so I had kind of given up at this point but just had it in my mind that I need a partner but I have no idea who it could be. I’ve exhausted my entire network, and I wasn’t looking for family of course, so I had never even thought of going to my brother in law and talking to him about it and then it was just serendipity that he came along. So, if I were in this position again of saying I need to go and find a partner, I would do the same thing. I’d go out to my network. I’d be talking to my network but also if I could go back in time I would’ve done a lot more networking to build up that network years ago because I’m going to bring somebody in as a partner if I haven’t known that person pretty well for two to three, four years. Well, the day you need a partner it’s too late. So, if you don’t need a partner today but hey maybe you’re going to need a partner four or five years down the road today is the time to start networking and start building up that network and in retrospect I could’ve been much more social. I couldn’t been reaching out to people. I could’ve been developing more relationships and then I might’ve had ten other people I could’ve considered as business partners instead of the six or seven people that I ended up contacting about it. So, you know, people say oh I network all the time. I don’t really get anything out of it. Well, just having those relationships you never know what’s going to happen with those relationships and I don’t believe in networking just to like use people but you network, it’s fun. I mean, I love talking to people. I love getting to know people, regardless of any business benefit or financial benefit I get but at the same time it’s easy to say well, I’m just going to focus on my business. I’m going to just be heads down, working all the time. I’m not going to go to events. It’s just a waist of time. It’s easy to say that but those things can have long terms dividends and long terms payoffs and when the day comes that you need to reach out to somebody those things can be huge. I mean, the reason I’m writing for Forbes is because I had a ten year business relationship with the person who introduced me to Forbes and during those ten years I got nothing out of that relationship, financially. I got some good advice here and there and stuff and that person got nothing from me for those ten years, but we just kept in touch and we talked to each other and we just saw each other at events and said, hey how’s it going, and then after ten years of that relationship all of a sudden she introduced me to an editor at Forbes. I got into Forbes and that changed my whole business. So, that’s the power of networking for the long term. Well, let’s go with that though. So, when you got into Forbes this was combined with partnering up with Cory. You also got into Forbes and that started to get the ball rolling on generating a lot of interest for you. Was it as simple you got this first article published and then the phone started ringing off the hook? What did it actually look like? No, there was actually about something like a six month lag in there, because when I started writing for Forbes I didn’t want to kicked off. I recognized that this was an amazing opportunity. I’d better not mess this up and I thought, I’m not going to do anything that seems the least bit self promotional. So, I’m not even going to write about digital marketing. So, at first I was writing about my entrepreneurial experiences in growing a business and startups and all sorts of things related to more like general business and entrepreneurship and I wasn’t touching digital marketing on purpose because I thought, oh if I even mention SEO then the editors might come in and say, oh you’re just promoting your business and we’re kicking you off. So, I wanted to really steer clear of that but after a few months I noticed, hey there are other contributors out there who run SEO firms and all they talk about is SEO but I looked at the way that they were talking about it and they weren’t promoting their companies. They were just talking about topics related to SEO because they’re the experts and they were just sharing advice and sharing tips and telling people how to do stuff. So, I thought, well hey I can do that and so I thought well what are some of the questions that I get asked frequently and what are some of the pain points that I see with clients and what mistakes do I see clients making? So I took a topic which was related to my business which was how to hire a SEO firm and I looked at his and I said, okay, this frustrated me as a SEO firm owner because a lot of clients come to me and I’m pitching them and I know that my agency is the fit for this client but I can’t convince them because they think I’m too expensive or they think I don’t have the right experience or background but I know that I’m the right fit but it’s just hard for me to prove this to them and so I try. I try to use testimonials. I try to use references. I try to tell them stories. I try to do these different things to convince them but they’re not looking at these things. They’re just looking at the price tag and that’s all and so I thought, what can I write to get these people to see, this is the way you hire a SEO firm? Here is the right way to hire an SEO firm, because I run into too many clients that are going about this the wrong way and we would have lots of clients that would come to us and they’d say we really want to work with MWI but you’re too expensive so I’m going to go hire this other firm over here and then six months later they’d come back to us and say, wow that was a huge mistake. We just lost six months. We’d gotten nothing for the money we put in and now we really understand the value of MWI and I’m sitting there say, I told you so but I don’t want to tell you I told you so. So, I thought well if I can write an article about this then I can tell them, so ahead of time and then hopefully they come to us and they trust us because they red this article. So I wrote this article on how to hire an SEO firm and that was one of the first articles I wrote and that was the one article that really blew things up for MWI because people found this article at the exact right point in their buying cycle. They’re going to Google, they’re typing in, I mean they’re, they want to hire an SEO firm so they go to Google and they say, how do I hire an SEO firm? What’s the right way to do this? I’m confused, and then they see my Forbes article pop up and they read it and they say wow, this guy just told me the right way to hire an SEO firm. Well, who is this guy? Oh, he runs an SEO firm? Well I should just go hire him because I like this article, and that’s the one where we started just getting a flood of leads coming in and the phone ringing off the hook and a ton of emails and that single blog post, that single post on Forbes, we can track over two million dollars in revenue back to that one post alone. So, that was a huge one. Easily over two million. I could say over three million but I’m not a hundred percent sure on that but definitely over two million. I mean, honestly, to listen to you talk about this, a lot of what you’re talking about is straight forward, fundamental content marketing, is figure out what your target market has questions about, and figure out what they’re concerned about, figure out what they don’t know but they need to know and then answer it for them, but what you’re doing is taking it a step further by putting out that content on an already established platform like Forbes so that not only is it going to be easier for them to find it on your personal blog but you also get a lot of credibility by being associated with a big name like that. Did you find that to be the case? Right. I mean, I blogged on my personal blog for ten years and nobody really cared. I’d get a hundred, two hundred readers a month. It was just small traffic and or actually a hundred, two hundred a day or something but it’s still small traffic but then I write for Forbes and all of a sudden people care about what I’m writing because it’s on Forbes. I didn’t change what I was writing about. I just changed the channel that I was writing for and yeah, all of a sudden the credibility of that Forbes brand made all the difference in the world because if somebody sent and read that, how to hire an SEO firm on my SEO firm website they’d be like well of course this guy’s writing it the way that he wants to write it and they wouldn’t really trust it. They’d just be like, well who is this guy and what is this company? I don’t know anything him and if they found it on my personal blog they’d say the same thing, but they see it on Forbes and they’re like well it’s on Forbes. I mean, this guy must know what he’s talking about. There are all these assumptions that are made just because it’s because on Forbes and then when they contact us it cuts out a lot of questions from the client because they’ve already answered a lot of questions in their mind just by it being on Forbes. So, they’re not trying to figure out if we’re a credible agency. They’ve already decided that we are. So, it’s when, if somebody came to through my own website they’d be maybe 15% converted to the idea of working with us and then we’d have to work on the other 85% but when they come to us through Forbes they’re already 85% convinced that they want to work with us and it’s just that last little bit that we have to get them over to convert them to a customer. So, that credibility was a huge factor in the success of my content because yeah, if you’re putting up your content in a place where it doesn’t have that natural credibility it’s just a lot more work. Yeah, and people are going to view it with skepticism, that they’re always going to see another agenda and obviously if you could wite a very sale-sy piece and if you’re just pitching your services, if it’s transparently promotional it doesn’t really matter where it’s published. People are going to see through that but when you’re putting out genuinely helpful content for people in a publication that has some credibility that’s where you’re going to see some great results and so after you’ve got some amazing results from this what did you do next? Did you keep putting out more content on Forbes? Did you go do other sites? Did you do all of it? What was your strategy from there to really take this to the next level? Well, my number one or one of my big concerns when I started writing for Forbes was what if I get kicked off of Forbes? What if something happens? What if they change this contributor model and stop doing it, but I just was worried that somehow this would end and I wouldn’t have anything else. So, I thought I’ve got to manage my risk here. So, I leveraged Forbes and I went to Entrepreneur Magazine and I said hey I write for Forbes, can I write for you guys too, and they gave me a slot writing and then I went to other publications and I did the same pitch and I said hey, I’m writing for these other publications. Can I write for you, and that’s how I expanded into writing for Mashable, TechCrunch, and ten or 15 other publications and started getting my content everywhere because I was worried that I might lose one or another and that I needed to have these other places that I could go publish. That actually happened and earlier, or last year I did lose the position at Forbes. I had written 164 articles for Forbes and then I had a misunderstanding with one of the editors and I got kicked off but I had all these other publications I could go to and i also developed a lot of relationships with other writers so that even though I got kicked off of Forbes I can still write an article and go to one of these other writers at Forbes and say, hey I’ve got this article to pitch to you and because they know me and they know that I’m a writer they trust me and they’ll still publish my articles. Maybe not verbatim. Maybe they’ll rewrite it to be in their own voice. Maybe they’ll add some stuff in there but I can pitch them and they’ll listen to me and seriously consider my articles where they might not consider it if it was just somebody they didn’t know pitching them. So, I’ve still got the Forbes channel and I’ve got all these other channels I can write for. So, now I focus my attention mostly on Entrepreneur and Mashable but it’s yeah, I leveraged that Forbes position to make sure that I was safe and that I’d be able to write and get my content out to a lot of other places if I needed to. For our listeners who might be concerned, have the same concern you do about losing one, if they get some of these opportunities and they’re worried about losing it obviously they can get more and that’s a good hedge against that but can you speak to what that misunderstanding was? Was it just, did the content become too promotional or what happened so that, after contributing so much content you had to step away? I still don’t know what the real reason is because I tried to talk to the editor and he stopped responding to emails and wouldn’t talk to me and so, but I’m still not sure if he just had a bad day or if it might’ve been a case of mistaken identity where he got me mixed up with somebody else but it was, I mean what happened is I sent in a specific post about, it was actually about this organization Startup Grind and I had written this article about Startup Grind and about their global event that was coming up and I just thought, hey this is a really great organization doing some really interesting stuff and I published it and then my editor took it down and he came back and he’s like, this is over the top. This is crazy. This is so promotional. It’s ridiculous and we’ve had this issue with you several times before and you’re out of here and I was just like, whoa, whoa, and I went back and I read the article. I’m like, okay I guess it is a little positive but there are a lot of articles out there on Forbes that are positive and I didn’t, I didn’t think it was over the top. I just totally disagreed with him on it being over the top promotional or anything like that. I mean, I could see a little bit where he was coming from but I was like, this is really an overreaction and then when he was saying, hey, we’ve had several issues with you before I was like, I went back through every single communication I had with Forbes and I could find exactly four times that I had ever been spoken to by an editor at Forbes and I was like, you know, for a 164 articles, to get feedback four times that seems fairly reasonable. I mean if I were working full time in a newsroom I would expect to get feed, critical feedback from an editor four times a day, let alone four times over three years. So, I was just like, I don’t know. Maybe he thought I was somebody else and so it was like, the last straw that broke the camel’s back but actually it was somebody else who had like built up all this tension with him and then he just took it out on my me because he thought I was that guy. I don’t know, and when I tried to talk to him he wouldn’t talk to me. So, I just thought you know, maybe it’s just a misunderstanding but then at the same time I thought, you know, I can go get my content in Forbes through other ways. I don’t have to be the guy published it and so maybe this is better anyway because if I can go pitch an article then I can put myself in that article and go pitch it to somebody else and I get more traction out of that. So, I just took it as an opportunity to change up the way that I was getting content out there and take more a traditional PR approach and pitching articles rather than writing them all myself. It’s worked out just fine so, I have no complaints. All right. So, after expanding your reach by posting on all these different publications there still is I’m guessing, value in looking at other channels to develop your authority. 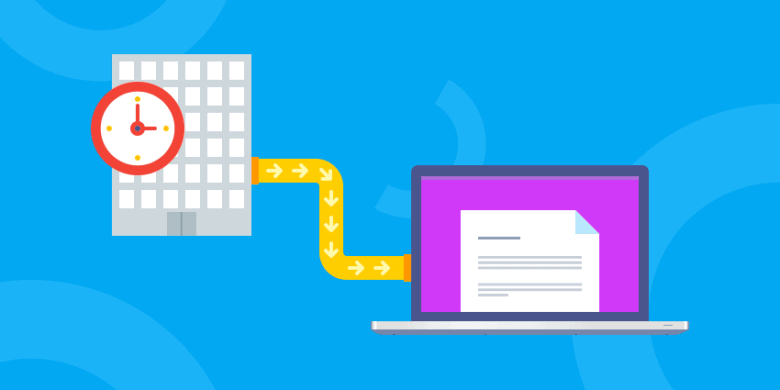 So, have you started looking beyond just written content on blogs? Yes. So, the one thing that I wish I had been doing earlier and I wasn’t and I knew I should, was video and you’ve seen how hot video is with the Gary Vaynerchuk and his Ask Gary V Show and Casey Neistat and there are all these other influencers out there who are using video and I knew I should be doing this but video’s tough. I mean, it’s hard to put your face out there. You’re like, oh I don’t look good today and I, you know I’m uncomfortable, I don’t look at the camera right, my smile looks funny. Like, it’s so easy to get caught up on all this superficial stuff and then it also, I mean video’s hard because you make a mistake and either you just roll with it or you edit it or you go back and start over again whereas with writing it’s like you make a mistake you take five seconds, you fix it. No big deal and with writing, even if I publish it, I can publish it and then come back three months later and say, I want to revise this and change things. With video you know, you can’t really do that. So, video just, I stayed out of video for all the normal reasons that people stay away from video but I knew I needed to jump into because I knew other people were not doing it and so that was an opportunity for me to get in there and make a little niche for myself. So, just lately I’ve started doing video. I’ve got a YouTube channel set up and now we’re doing it fro MWI. We’re doing it for this Influencerink thin that I’m launching which is an initiative to help people become influencers and I’ve started doing more video and it’s not like I’ve done it long enough to get huge traction but just the little bit that I’ve done the video I’m seeing great results from it. I’m getting leads from it. I’m getting positive feedback. I’m able to help people and even if I put out a video and it just gets a hundred views or something, hey that’s still a hundred people that I’m influencing and when one of those people comes back to me and says, hey I watched you video and I went and I did this thing that you recommended and it worked and it’s changing my business, it’s like well that makes it all worth it. I don’t care if a hundred people watch it versus ten thousand if I can influence one person that way and get one view on the video that’s worth it to me to make that video. So, I’m really enjoying video right now. It’s something that so many agency owners in particular and business owners of all kinds, they overemphasize the exact numbers in terms of reach of video, of blogs, of whatever, but especially as an agency owner influencing just a small handful of the right people can have a disproportionate impact on your business. Especially when clients are worth tens of thousands of dollars over the lifetime of an engagement with you. So, you don’t need to have a massive audience to have a real impact on your bottom line at the end of the day. No, I mean, you get a few of the right connections and that can make all the difference in the world. Yeah and so, I’m curious because you can obviously build a good sized agency on the back of authority in the way you’ve approached it so far. How much of your revenue, of your new clients today do you attribute to this type of marketing effort? I’d say 80, 90% of our clients come through content marketing/PR. The rest would be SEO and word of mouth typed stuff and I might be a little bit off on that. Maybe it’s like 60/40 instead of 80/20 or something but it’s, definitely the clear majority of it has come through the content marketing and the PR and the articles that I’m putting out there. Uh-huh (affirmative). What, roughly how big is MWI today? In terms of revenue we’re approaching about three million a year and then in terms of staff, we’ve got just over 20 people full time and then we have a large number of contractors that we use regularly. Uh-huh (affirmative). This was a question I usually ask at the end but for you this, I want to ask this first because I have a few other questions around it. What are the long term goals that you have for MWI? So, when I started this agency it was in 1999 and I was researching large digital agencies that were just starting. I mean, this was a new things. So, there were companies like Razorfish, Sapient, man, agency.com, I mean back when you had a .com on your name and everybody. So, these were some of the big agencies that I was looking at at the time and that’s what I wanted to create. I wanted to create not just a regional boutique agency or a specialist agency. I wanted to create one of these huge consulting firm type agencies but I wanted to do it in a new way that was different and that wasn’t the old paradigm of the way businesses are run. I wanted to do something that was new and different and exciting that the place that people love to work at, and I wanted to do it at scale. I wanted to make it big. That’s what I started out with and that’s always been the dream all these years and that’s what was killing me all these years is like saying, this is what I want to accomplish and here I’ve been doing this for ten years and I can’t even get past half a million. I mean, I’m not even getting a start here, and so, when things started going better in 2013 and then bringing on my partner and looking at this and we started developing systems and processes and scaling and now we’re in this process where we’re saying, how do we create new offices around the world and how do we set up the systems and how do we manage these people and what type of people are we looking to recruit to manage each of these individual offices? Now, it’s getting exciting because finally after 17 years of failure and lessons learned, now I can see that we’re making this traction to the point where I can see that hey, ten years down the line we might actually have two thousand, three thousand, six thousand employees working all around the world in multiple offices. That’s what we want to create. I was, I had this amazing crazy opportunity about three weeks ago. I went to Necker Island in the Caribbean and met Richard Branson. I was, yeah, it was this crazy thing. It came out of nowhere. Somebody invited me to this event and it was all these marketing executives and ad agency people and I’m sitting there, I’m like I’m this tiny guy. I run a 25 person agency and I’m sitting next to this guy and I’m like oh, what do you do Brian? Oh, I’m the head of Mediavest and we own Publicis, the largest PR firm in the world with I don’t know, tens of thousand of employees. They have to spend 14 billion on behalf of their clients every year and I’m just like, oh, okay well yeah I run a little agency. It’s a little smaller than yours. You know, like I’m sitting here next to all these people and I’m sitting next to Gary Vaynerchuk’s partner who had helped him grow Vayner Media from ten people to 600 people and I’m sitting next to all these people and I’m like, this is what I want to do. Like, these people aren’t talking about tens of thousands of dollars. They’re talking about hundreds of millions and billions and they’re doing work for Nike and Under Armour and all these huge brands and I’m looking at this and I’m like, this is the level that I want MWI to be on. This is my goal. I want to make this big but I don’t want to do this at the cost of quality and culture. For us, culture and the quality of the work come first and if we have to choose between size and quality and culture we’ll choose quality and culture everyday but if we can get the quality and the culture right and we can start scaling that and we can manage that well, then I feel like we have an obligation to grow this because I feel like we’re doing something good in the world. We’re making a difference and if we can make a positive difference in the world I don’t want to keep that to just 50 employees that we’re changing the lives of. I want to spread that to hundreds of people and I want to change all sorts of things in the world and make a big impact and so, our first focus is the quality and the culture but if we can get that right then we want to scale this, and we want to grow this, and we want to make this the largest digital marketing agency in the world. Wow, and what, other than making sure the fit and the culture are there, there’s obviously going to be a ton that will change as you grow and continue to scale, but what right now do you see as being the biggest challenge you’ll have to face down the road as you continue to grow? Hiring. Still. I mean it’s, there’s this idea as an entrepreneur and maybe it’s like my religious background and stuff too. Like, I want to believe can improve and can become better and can change and can become different people and so sometimes I hire people looking at the vision of what’s possible with that person and I don’t pay enough attention to who they are today and they’re proven track record and then they come inside the company and they don’t perform, they don’t fit, and I’m just like, oh you just need to change this and this and this and you know, you can do this and you’ve got all this potential and then two months go by and we have to fire that person because we realize, they’re not changing. They’re not doing things differently. They are who they were when we hired them and so I feel like sometimes, there’s this balance between mercy and justice and I think sometimes I’m too much on the side of mercy and not enough on the side of justice and it hurts the business sometimes. So, the main thing I look is we’ve got to hire the right people from the get-go and so we’re looking for certain things, like we look for three things in the people we hire. We look for competence. We look for culture and we look for hustle and competence means they can do the job. Whatever we’re hiring them to do, if it’s social media marketing, they know how to do social media marketing. Just basic competence at the job. That’s number one. Number two is culture and when I say culture we hire people who are nice, people who are easy to work with. Google did a study. They spent millions of dollars trying to figure out what the ideal employee is and they figured out nice people. Those are the ideal employees. We just need to hire nice people and so we look at that and say, yeah we need nice people that are easy to work with, that you can talk to, that are reasonable, that don’t get bent out of shape when you give them constructive feedback, things like that. So, we look for nice people and then we look for hustle and when I say hustle I don’t mean just like working hard or being really fast or looking busy all the time. When we say hustle we mean ownership. We want people who look at something and take ownership of it and say, I’m going to handle this the way I would handle it if I owned this, if this were my business when they’re looking at a client and so those are the three things that kind of feed into our over all culture that we’re looking for and those are type of people we bring in and that we’ve seen perform well within MWI. Wow. I mean, you gave us so much in that and then in all the information before this. I’m just trying to unpack it all in my brain and I’m a little worried about what it’s going to be like going through the show notes because there is so much to cover and I’m going to have tell Matt that he did a great job because you lived up to the hype, but before we say goodbye I’d like to ask all of my guests a few rapid fire questions. I’ll go through them quickly. Your answers don’t need to be too short though but the first one is, what do you spend too much time doing now? I spend too much time on tasks that could be done by somebody that I can pay ten dollars an hour to do and the reason I do that is because we need to hire ten people and I can’t afford to hire a personal assistant right now but man, I really need a personal assistant and I would advise entrepreneurs to seriously consider hiring a personal assistant early on in their careers because if you are doing, let’s say that 60% of your time, let’s say that two-thirds of your time is taken up doing work that you could hire somebody for ten, 15 bucks an hour to do, that means that you’re only doing 30% of what you could do and if you could offload another third of what you’re doing to somebody else you would double what you are doing. How much would you pay to have a clone of yourself and double yourself and now look at how much a personal assistant cost, it’s like, you know, I would have to go hire, if I wanted to duplicate myself I’d go out, I’d have to go hire somebody for 150, 200 thousand dollars but I can go hire a personal assistant for 30 or 40 thousand dollars and then I can just do twice as much work without spending twice as much time at the office or anything like that and I’ve doubled myself for 30 thousand dollars instead of 150 thousand dollars. So, I would get started on that earlier because man, there’s so much stuff I need to offload right now and it just kills me that I’m doing work that I know anybody out there could do. So if you’re, the second one is if all of that low value work was wiped off of your plate what would you then spend more time doing? I would spend a lot more time right now on setting up the systems for expanding our offices and working on kind of manual text. When I say manual, like creating a manual sort of thing like a book on, here’s how you open additional offices, here’s how we go into Singapore or the Philippians and we open an office of MWI there, because that’s a big focus right now and I would just like to map that all out and say here are all the steps. Here’s a checklist that we can rundown and we can scale at these offices really quick and then I’d be focusing time on going out there and finding the right people to bring in and start those offices and head up those offices. Then, what are you hoping to accomplish in the next quarter? In the next quarter we’re looking to, so I’m here in Shenzhen, China and we’re looking to really get an office up and running here. I mean, it’s kind of up and running but I’m the one running it and we’re looking to bring in some other people to run it and head up the office. So, I’m hoping within the next quarter that’s all finalized, we’ve got that going. We’re talking to somebody in Singapore about starting an office there. We’re talking to another guy about opening an office in New York City. If we could get those three things done that would be incredible but I’d be happy even if we just get one of those things done and it’s successful and up and running. Yeah. Usually when I ask the goal about the next quarter I don’t hear about opening multiple offices but I’m excited to see how that all works out and honestly seeing the drive that you have and how far you’ve come and the systems that you have in place, I’m sure the future is very bright for MWI. So, before we say goodbye though, Joshua I just wanted to ask, if listeners want to follow on your story, if they want to see what you are all up too at MWI and you personally, where is the best place for them to go? Best place is my personal blog. It’s joshsteimle.com. Awesome. So, I’ll make sure to get that link up in the show notes and Josh I just want to say thanks so much for coming on the show today. It was a lot of fun chatting. Thank you so much Andy for the opportunity.